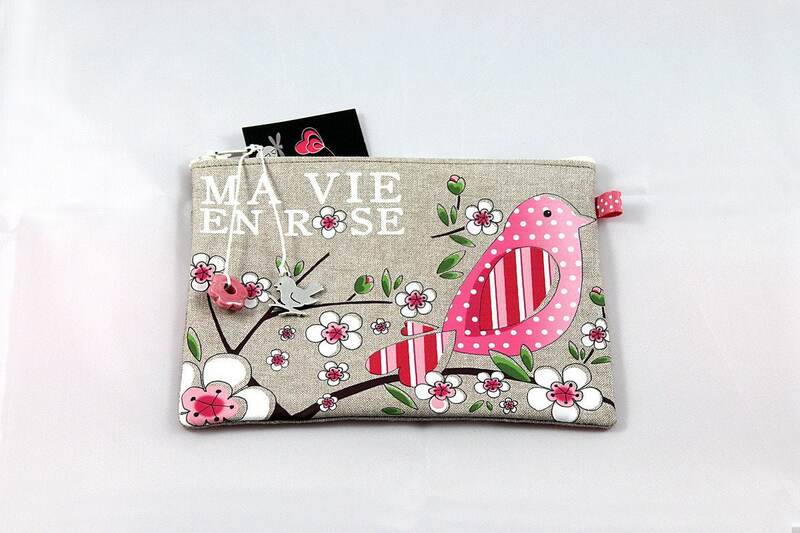 Shown in natural linen pouch "my vie en rose"
Pouch multipurpose linen with original illustration printed on the front and back in natural linen. Closed by zipper. Two (pink enameled metal flower) and antique silver bird charms are attached to a white waxed cotton cord. Small Pink Ribbon with white polka dots on the side. The illustration shows a bird on a branch of cherry blossoms in shades of pink and white. It is printed on linen with heat transfer system.